The Frozen 2 teaser trailer was the most viewed animation trailer of all time, with a record-breaking 116.4 million views in 24 hours. Here's everything else we know so far about the hotly anticipated sequel. What do you think about the new Frozen film? Let us know in the comments. When is Frozen 2 coming out in the UK? Frozen 2 is set to come out in the UK and US on November 22, 2019. The sequel was originally meant to hit cinemas on November 27, 2019 before Disney moved the release date forward. Who is in Frozen 2? Idina Menzel (Elsa) , Kristen Bell (Anna), Josh Gad (Olaf) and Jonathan Groff (Kristoff) are all set to return to their respective roles, while Evan Rachel Wood and Sterling K. Brown have also reportedly joined the cast. 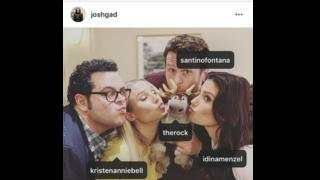 After close inspection of Josh Gad's social media we spotted he tagged The Rock on an Instagram snap of the cast - could he be making an appearance? Josh also tagged Santino Fontana, although there's no official confirmation wicked Prince Hans will be back. 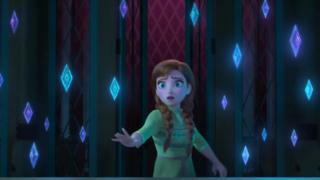 What did the Frozen 2 trailer tell us? 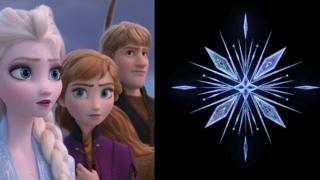 The new clip sees Anna, Elsa, Kristoff and Olaf all back and seemingly training to fight an evil force. Apart from new costumes, fans also spotted a lot of floating diamonds and two new featured characters. Last year, there was a lot of chat about whether Elsa will become Disney's first gay princess, sparked by the online campaign #GiveElsaAGirlfriend. "I love everything people are saying and people are thinking about with our film," co-director Jennifer Lee said in response. That it's creating dialogue, that Elsa is this wonderful character that speaks to so many people, it means the world to us that we're part of these conversations. Frozen 2: Which of these real ice castles would get Elsa's seal of approval? Quiz: How much do you know about Frozen? Also, I think Elsa is trying to look for her parents when she is trying to walk on water. I am 11 but I still like Frozen. I don't mind if Elsa is gay - I think that there needs to be a change with Disney princesses always loving a male. I've seen the trailer, it looks really good! I don't really mind if they make Elsa gay, I think it'll be something different. I don't like princess movies, but I do hope they make Elsa(?) gay. OMG this Frozen looks better than the other one when is it coming out!! !